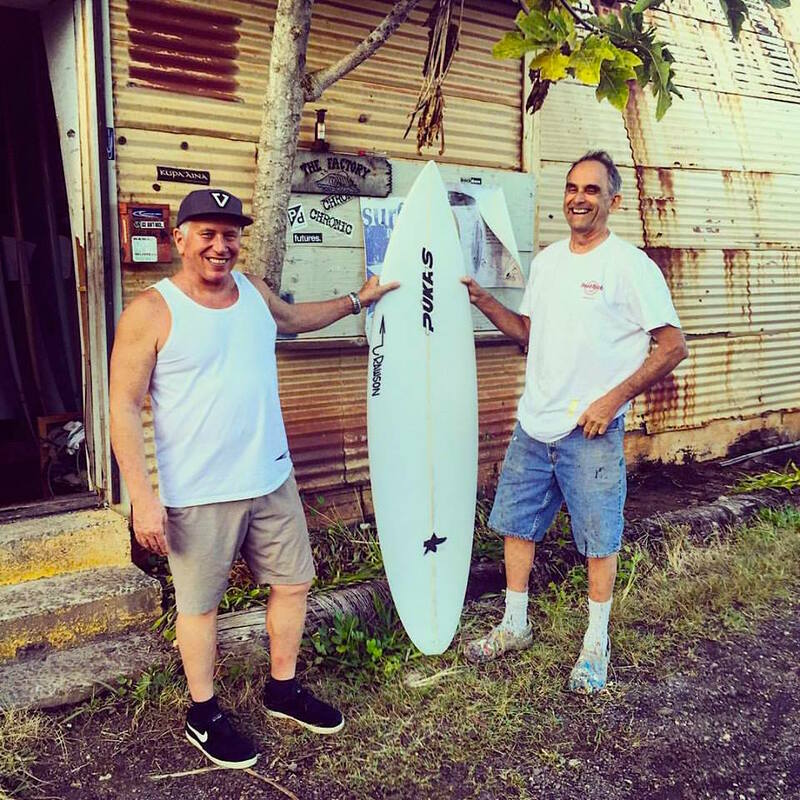 My glasser, Otis Schaper and I with 1 of 4 Pukas team boards for Mateus Herdy. Otis was the original glasser for Pukas Surfboards in Oiartzun, Spain in 1988 when they had opened their current factory. I came along later in 1991 and began my long relationship with Pukas and Miguel and Ignacio. This group of 4 Mateus Herdy boards is special as we are using the “original” Pukas logo again from back in the day, and why I dubbed this board: “the real Pukas Surfboard”!